On January 17, 2014, Mr. Tay Bian How, Acting Secretary General of the Colombo Plan Secretariat visited CPSC to discuss with the Director General, Dr. Mohammad Naim Yaakub the possibility of involving the Staff College in the implementation of training and assessment programs being organized by the Asian Centre for Certification and Education of Addiction Professionals (ACCE). ACCE is the training and credentialing arm of the Colombo Plan’s Drug Advisory Programme, created in February 2009 as a response to the long-standing crisis of inadequate addiction treatment programs and lack of adequately trained addiction professionals in the region. The Drug Advisory Program is the only program aimed at capacity building for drug demand reduction in the Asia Pacific Region. 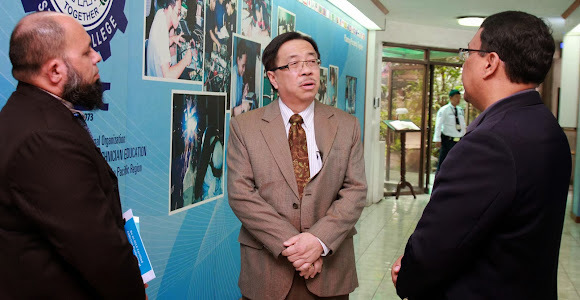 The Acting Secretary General explored the possibility of CPSC as venue of some ACCE training programs and assessment. In an effort to closely work with Colombo Plan, CPSC being a specialized agency of the former, the Director General expressed his support to ACCE and greatly considered the proposal. The first training program will be held on a mutually agreed date before the end of the fiscal year 2013 – 2014.